Do you consider the people you work with to be friends? Have you experienced the death of one of them? I’m currently looking for people to interview for the next two books in the Friend Grief series. Book #4 is Friend Grief and Community: Band of Friends. It focuses on active duty military and veterans – men and women, of any age - who have lost a battle buddy, either in combat or from suicide. Book #5 is Friend Grief in the Workplace: More Than an Empty Cubicle. This book’s focus is obvious, and will have a broad definition of “workplace”. You don’t have to work in an office building. Maybe you are an actor, a paramedic, a teacher, a cashier, a nun. As always, if I use your story, you have the option of being anonymous. I’ll be conducting interviews via email (questionnaire), phone or in person, depending on the location (through mid-January for book #4; late February for book #5). 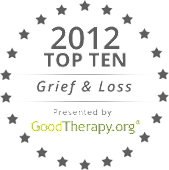 If you are interested – or know someone who is – please email me at victorianoe@friendgrief.com.